About a week ago, I decided to rent the brand-new Fuji X-Pro 1 for a few days. It was on a whim; I had not played with a Fuji X100 before, and so I didn't know really what to expect. My professional cameras to this point have been the Canon 5d and 5d mark 2, plus a stint with a 20d several years ago. Photographers have talked about the retro feel of the body, and there's no denying it. It has a definite Leica sensibility. Large, metal dials on top of a tank-grade metal body. APS-C sized sensor. About 18 megapixels. Having not spent a lot of time with either Leicas or retro-ish cameras (before they were considered retro), the feel of the X-Pro 1 was new to me. But I quickly got used to it as the benefit of a smaller-than-a-5d-body mentality kicked in. One of the biggest benefits of the X-Pro 1 (other than its new, interchangeable lens mount), is its hybrid viewfinder. When you are looking through it, you can either see a LCD version of your scene (the EVF, or electronic viewfinder), or an optical version with some informational overlays (the OVF, or, wait for it, optical viewfinder). They both have good and bad points. The EVF mode definitely shows more information, but it seemed more difficult to focus for me. In low light, however, it excels. The OVF is interesting because you are not seeing directly what the lens sees - you are looking through a viewfinder that's a little bit off axis. So, you have to learn to adjust for that (but it wasn't that difficult). Both viewfinder modes suffer from some sort of polarization issue. Meaning, when I use the camera with my polarized sunglasses on, I can't see either the EVF or the information overlays in the OVF. I'm sure there's a fancy name for this issue. It goes away when you rotate your camera vertically, but I thought it was weird to have this issue in a camera that has a rubber protection piece specifically for eyeglasses. All you 'togs that sport those self-shading glasses may want to take note. Manual focus is near impossible in a motion shoot, as it's a focus-by-wire system. Turning the focus wheel doesn't actually rotate the lens elements. The super-smart Fuji computer does that, just slowly. This might be something fixed in a future firmware update. So, after 4 days with it, I was sad to see it go. It does have a personality to it that you immediately feel when you hold it. It's hard to describe. You find yourself wanting to make the camera work despite all of its idiosyncrasies. It has charm. Or it's dope. Or tight. Or whatever you kids want to call it. It's the camera I would take on a trip when I want great quality without the size of my 5d. Quiet and not intimidating. Here are some samples, processed with VSCO via LR 4 (thanks a lot, Ben). By making available any Member Content through the Site, Application or Services, you hereby grant to Cold Brew Labs a worldwide, irrevocable, perpetual, non-exclusive, transferable, royalty-free license, with the right to sublicense, to use, copy, adapt, modify, distribute, license, sell, transfer, publicly display, publicly perform, transmit, stream, broadcast, access, view, and otherwise exploit such Member Content only on, through or by means of the Site, Application or Services. Cold Brew Labs does not claim any ownership rights in any such Member Content and nothing in these Terms will be deemed to restrict any rights that you may have to use and exploit any such Member Content. You acknowledge and agree that you are solely responsible for all Member Content that you make available through the Site, Application and Services. Accordingly, you represent and warrant that: (i) you either are the sole and exclusive owner of all Member Content that you make available through the Site, Application and Services or you have all rights, licenses, consents and releases that are necessary to grant to Cold Brew Labs the rights in such Member Content, as contemplated under these Terms; and (ii) neither the Member Content nor your posting, uploading, publication, submission or transmittal of the Member Content or Cold Brew Labs’ use of the Member Content (or any portion thereof) on, through or by means of the Site, Application and the Services will infringe, misappropriate or violate a third party’s patent, copyright, trademark, trade secret, moral rights or other proprietary or intellectual property rights, or rights of publicity or privacy, or result in the violation of any applicable law or regulation. In this way, Pinterest's TOS are at odds with its own reason for being: if you can't share what you don't own, you can't pin, and if you can't pin, Pinterest has no content. It's like signing up for a 5k race and then being told by the organizers that you need to get the proper permits from the city to have a race. No one would show up. Some photographers (Trey Ratcliff, notably) argue that you should stop complaining and embrace the wave of the future. This being the wave of giving away your work for free, hoping that exposure to the world (consisting mostly of, surprise, other photographers) leads to being hired by 'other' people (the ones that actually hire photographers)). 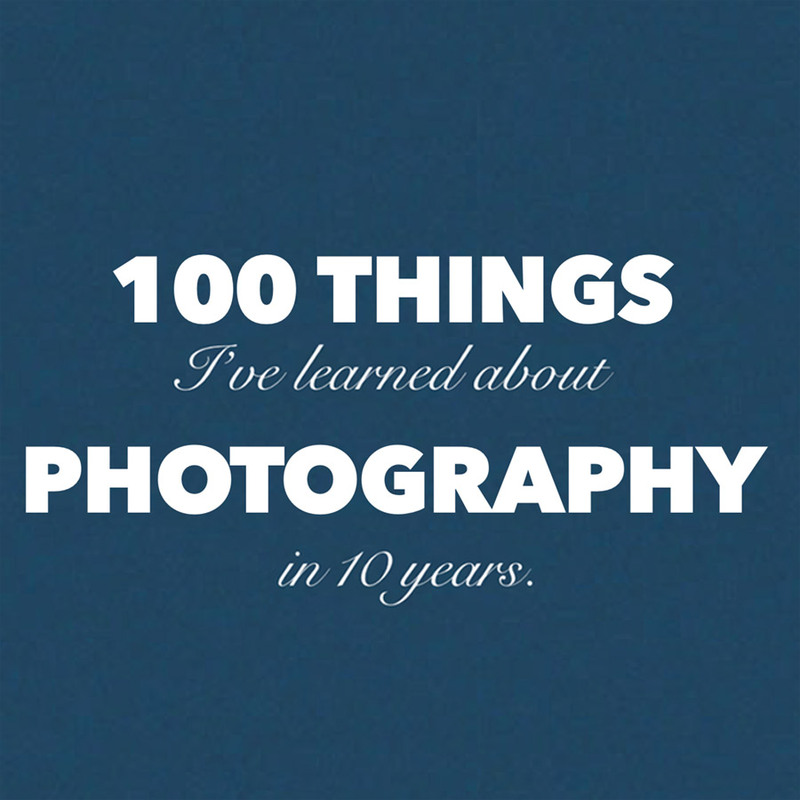 Trey is an awesome, successful photographer, but he's also an edge case. You cannot start a photo business today by self-funding shoots, giving those away for free, hoping for someone to hire or license them. It's not a business plan. Indeed, some photographers have begun to question their use of Pinterest, even removing their images entirely. Others (some wedding photographers, for example) have openly embraced Pinterest because it is good at driving traffic and getting your work in front of the public. This is why I said that it depends on the type of photographer you are. Family/couple-related imagery usually has no lasting commercial value, because (at least on the wedding side) most photographers license those images to the clients to do with as they please. There's nothing to stop someone (nor should there be) from pinning their favorite image from their wedding. What's been missing so far in this is a response from larger commercial companies. Should the legal team of a large company be concerned that Pinterest claims an open-ended license of their assets? Maybe, maybe not. On the one hand, what would Pinterest do with them? I thought of this for a while. What if they put together a harmless television ad, showing a collage of content submitted by users? Do you think the Pinterest legal team might make some effort to license, say, this pinned image before featuring it in an ad? You bet they would. Pinterest eventually will have to clarify their TOS (last updated March, 2011). We saw the same thing with iBooks Author when it was released. Pinterest can be a very powerful platform, with a lot of *trusted* engagement, if they do. In the meantime, I'll keep my account there open, with nothing pinned. Well, except for this article. The irony of pinning this post, with accompanying Pinterest logo, is not lost on me. According to their TOS, I must own their logo. It's been about a month since the last post. In some many ways, the holiday season is my busiest time. In addition to my commercial/editorial work, I pick up a fair bit of Christmas card work as well. I'm looking forward to wrapping things up over this week so I can get to some Christmas shopping and baked-goods gluttony. In the meantime, I had the great fortune to do an interview with Frederick Van Johnson of This Week In Photo. It's my hands-down favorite podcast and, to borrow a phrase from co-host Alex Lindsay, 'you should definitely check it out'. You can find the entire interview here. 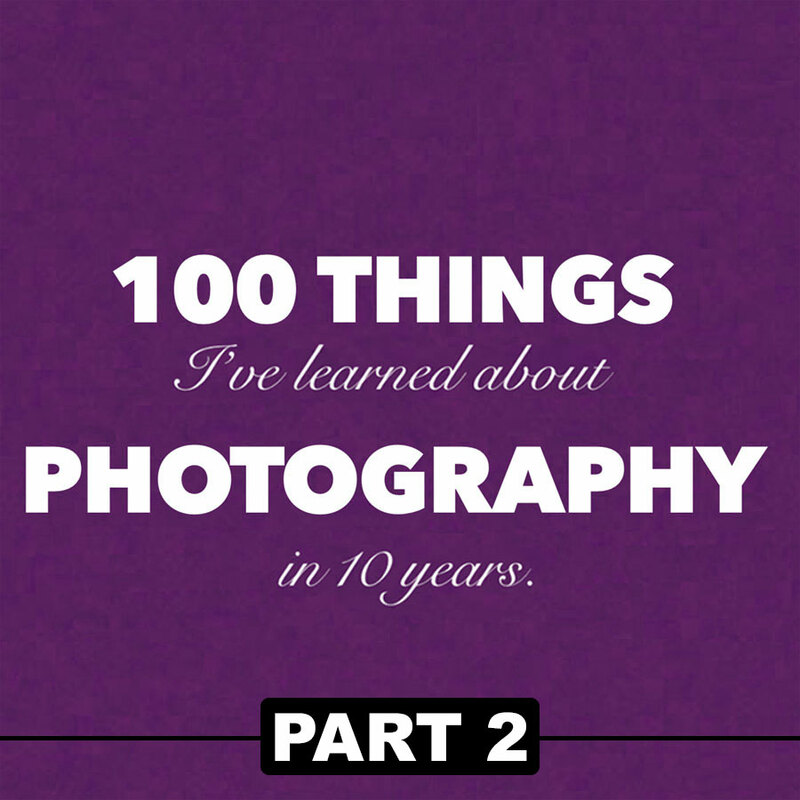 We talk about my work prior to photography (including a stint at the Pentagon, web design, and a little film music scoring too). I hope your holidays are off to a great start!